We have Facebook, LinkedIn, Instagram , but we always don't get to know people in person even is specialized events as tech events, malls or exhibitions. 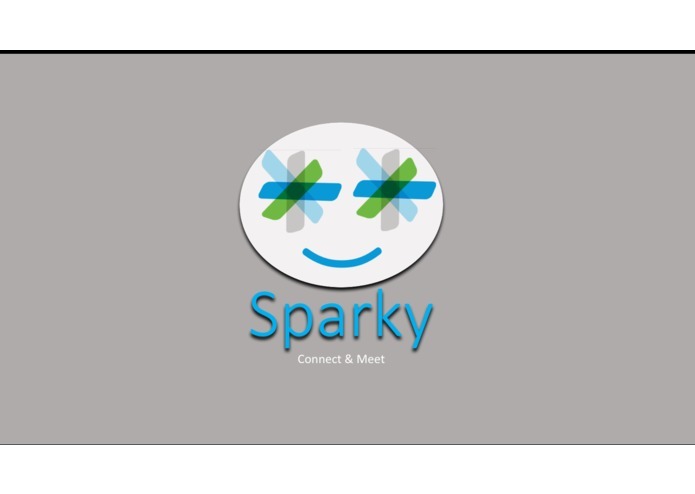 Sparky is a way to your business so people can meet in person. Sparky to connect and meet: Every person has a mobile phone, How about an application that gets people to do something together with their phones ? Sparky launches simple animation crossing mobile devices if placed together. 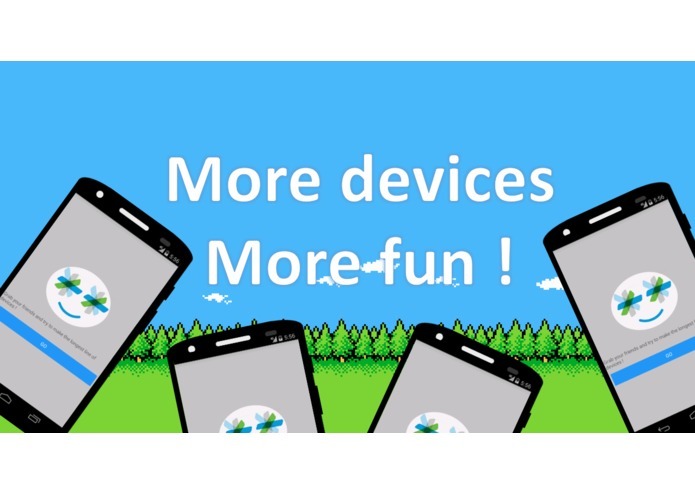 and so :The more devices you gather, the more the fun you can make ! Why is sparky useful for your business ? You can get sparky as a service, because we offer you to get a personalized animation with your logo and you can attract people by making the challenge : who will have the largest devices animation ever! 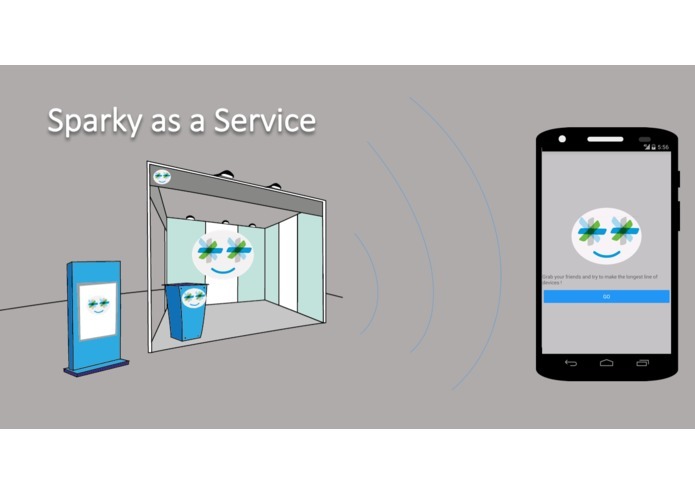 We offer also sparky as Your service because the project is available for free as a library so you can grab it and integrate it to your business or event application with a single line of code. I built a wrapping C# Library to consume the REST API of Cisco Spark. 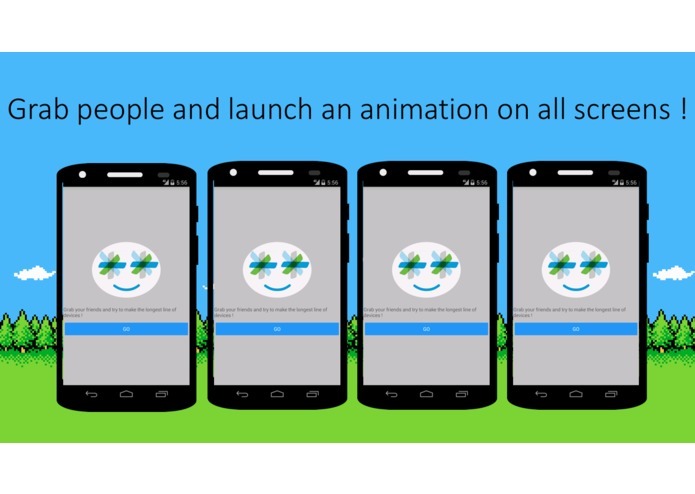 Then, each cross device animation created is in fact a chat Room on Cisco Spark. When the chat room get the message "Done" all the devices launch a synchronized animation, each animation duration is 1 second, so, the first device is ordered to start the animation immediately, the second one is ordered to wait for one second, then start the animation, the third one is ordered to wait for 3 seconds...etc.